Andrew Siden is Chief Executive Office and Founder of Prepaid Ventures, a next generation cloud based payments processor as well as parent of several Prepaid card brands including Nexscard. Mr. Siden brings 25 years of financial Services and electronic payment processing experience to the company. 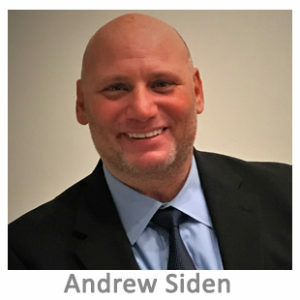 Before starting Prepaid Ventures, Mr. Siden began his career at Smith Barney in 1991, where he worked as a Guided Portfolio Manager and ultimately became an Equity Trader with Knight Capital Group. In 2003 Mr. Siden left Wall St. to peruse the fastchanging Alternative Financial Services (AFS) industry where he joined a leading New York based Check Cashing company. During his tenure in the Check Cashing industry Mr. Siden gained a broad understanding of the AFS landscape and ultimately launched Prepaid Ventures, developing its initial product, the NexisCard Prepaid Visa Card. Now distributed across the country, NexisCard. now known as Nexscard, propelled Prepaid Ventures into the payments technologies space where Mr. Siden’s investments in financial technology, program management, and electronic payment processing, has accelerated the growth of parent company. 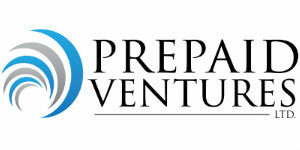 PrePaid Ventures now offers a suite of electronic payment options across multiple payments products and distribution channels. Mr. Siden serves on the board of the Network Branded Prepaid Card Association (NPBCA) the national trade group serving the prepaid card industry.